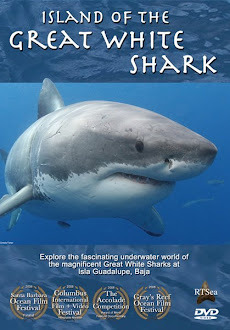 Shark Diver : Shark Diving : Swimming With Sharks: Australia to kill Great White Sharks? 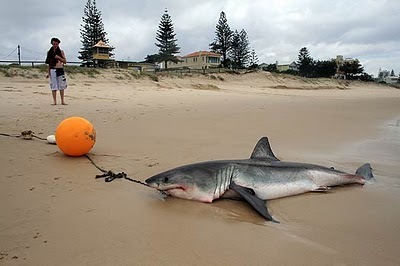 Australia to kill Great White Sharks? A article in the "Australian" reports that: "WEST Australian Fisheries officers are determined to catch and kill a great white shark suspected of having established itself at unpatrolled swimming beaches along the southwest coast since Christmas." Tony Cappelluti, from the Fisheries Department's shark response unit, said his team was almost certain they were seeing the same shark. "Our assessment is there's a shark of 3-4m, and it's a white shark, which is high risk, in the area," Mr Cappelluti said. "(So) we've deemed it to be an imminent threat under the guidelines because there's possibly going to be people in areas we can't get to or can't guarantee we can mitigate the risk by getting them out of the water and keeping them out of the water." Wouldn't it be easier to advise people not to go swimming in unpatrolled waters? I wonder if this has to do with how we portray sharks in the media. "Shark Week" type shows and news outlets seem to cater either to those who find the most creative ways to get a shark to bite a gopro or anything else in sight, or those fools who go and ride the sharks to show how "docile" they are. Reporting how sharks really are seems to be almost non existent. 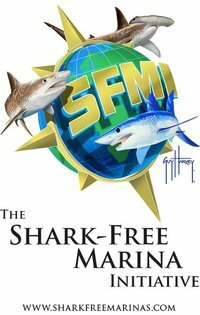 As I'm writing this I'm watching the local CBS news in San Diego, reporting that a 16 white shark that was tagged on the east coast has been spotted 17 miles off the coast of Florida. Their "expert" says that people have been advised to stay out of the water. ..... they spot a shark 17 miles away and advise people to get out of the water? .... really?! Maybe, if we want to protect the sharks, we need to focus on educating the media, as well as government and beach safety officials, to give them an accurate description of the sharks. We should respect them for the wild predators they are, but there's no need to fear them! The white shark in Jacksonville pretty much swam right up to Jacksonville Beach yesterday morning, which prompted the warning. Check out OCEARCH's Global Shark Tracker and follow "Mary Lee." You can see just how close she got to the beach. It's definitely worth a look.